A cloud of smoke, ash and steam rose to around 5,900 feet over Mexico's Popocatepetl volcano following November 23's eruption, the largest since 2013, El Universal reported. 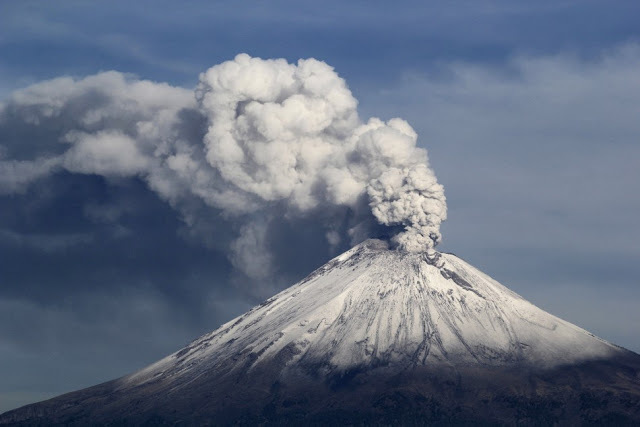 Mexico's National Center for Prevention of Disasters (CENAPRED) warned residents in Central Mexico not to approach the volcano's crater and of the potential for volcanic ash to fall to the southeast of Popocatepetl. Eruptions in 2013 from Popocatepetl, Mexico's most active volcano, caused airlines to temporarily cancel flights to and from Mexico City due to the threat from volcanic ash.